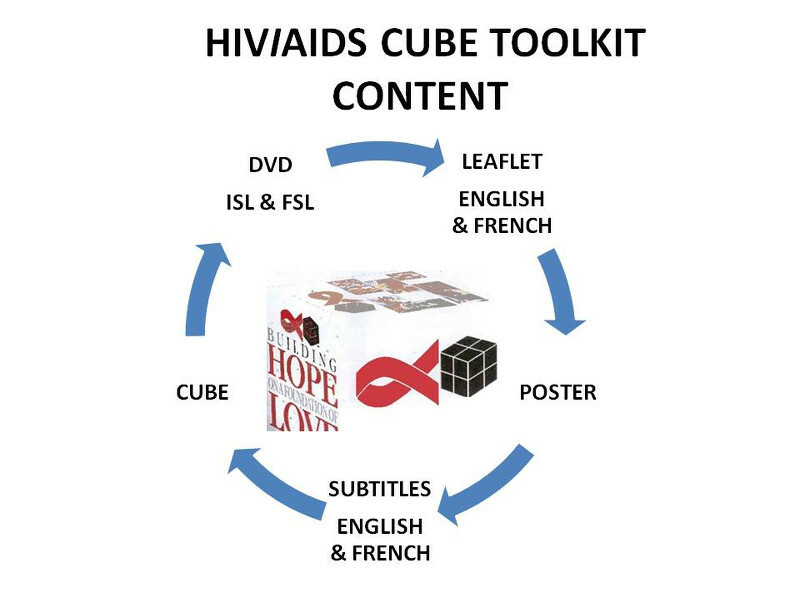 The HIV/AIDS Toolkit consists of 1 big HIV cube, 1 small HIV cube, a leaflet, 1 DVD (in Sign Language with subtitles in French and English) containing a guide for the use of the toolkit, a leaflet in French and English, and a HIV poster. The HIV/Aids Cube is a 7cm picture cube that presents the basic facts on HIV and AIDS in pictures in a clear and simple way. 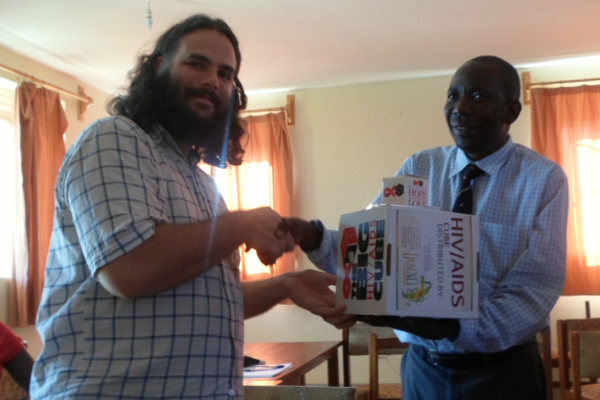 The Cube is available in standard 7cm sizes as well as a big HIV/Aids Cube for training purposes. The HIV/AIDS Cubes are 7 panel picture cubes that allow everyone to share a message in a clear, visual and simple way. 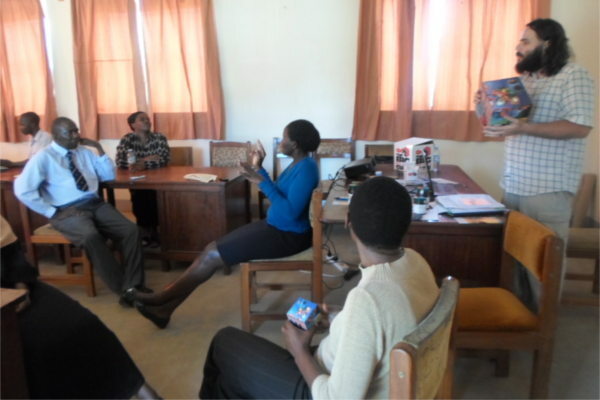 To provide a toolkit for home-based-care workers to use during HIV Counselling and Testing (HCT), Advocacy and prevention education in settings like offices, factories, rural settings, schools, counselling rooms, prevention and care programmes, training and awareness programmes, clinics, churches and outreach teams.